It’s been a long time since I’ve done a TTT. The last one I did was May of last year, where I recapped the covers that made me buy thebook. Today’s TTT called to me because it is kind of a no-brainer-- I have a 300+ TBR towering over me, both metaphorically and physically. I read by mood, so it’s hard for me to nail down a specific to-read list, but there are a few genres I’ve been wanting to tackle, especially because I set some 2016 reading goals that I still need to meet. All of the following books are books that I already own. Let’s start with the classics. My book bucket list is brimming over with classic literature. During my undergrad days, I read a ton of classic lit and loved it. But once I graduated, I was burnt out and just wanted to turn my brain off, so I ended up reading them a lot less frequently. I will pick one up every now and then, but I don’t read them consistently, and I know I’m only cheating myself. 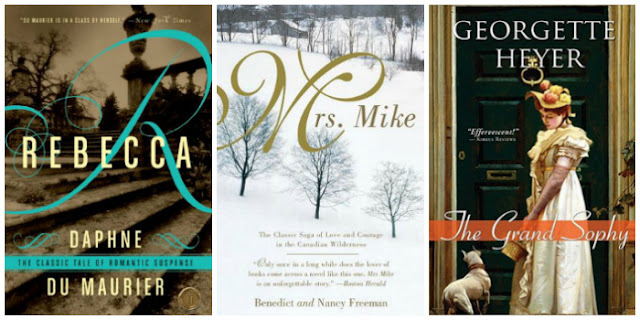 This is why three of my ten Spring TBR choices are classics: Rebecca by Daphne du Maurier, The Grand Sophy by Georgette Heyer, and Mrs. Mike by Benedict Freedman and Nancy Freedman. I figured I’m more likely to read them if they have a strong romance thread. 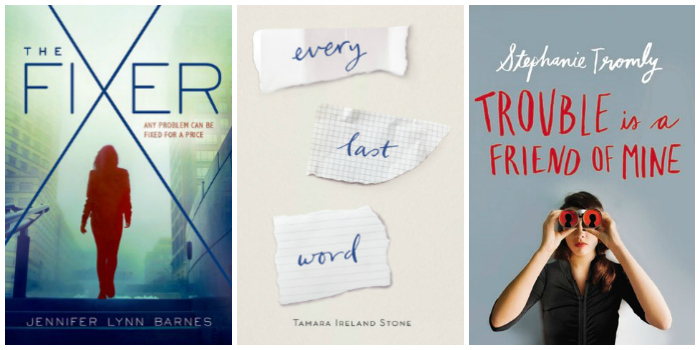 Next, I really want to knock some of the 2015 ARCs off my TBR. Last summer I acquired an obscene amount of ARCs from publishers and through giveaways, and now they are just sitting on my shelves, taunting me with their past pub dates jumping off their spines. I feel so guilty for not having read (or reviewed) them before they pubbed, so I’ll try to make amends by reading them now. The three that I’m going to read are Soundless by Richelle Mead, A Madness So Discreet by Mindy McGinnis, and Court of Fives by Kate Elliott. I’ve also acquired quite a bit of contemporary YA, even though I barely touch the genre; I generally like my YA to have magic and supernatural elements to it. That isn’t to say I absolutely NEVER read contemporary though—Everything, Everything by Nicola Yoon and Finding Audrey by Sophie Kinsella are a couple of contemps. I’ve read recently. So here are the three contemporary YAs that I plan to read: The Fixer by Jennifer Lynn Barnes, Every Last Word by Tamara Ireland Stone, and Trouble is a Friend of Mine by Stephanie Tromly. Lastly, I want to read some of the non-fiction I’ve been hoarding for years, always saying to myself “oh, I should really read that!” and then go pick up a YA fantasy novel instead. So my non-fic choice is Twyla Tharp’s The Creative Habit. It comes highly recommended to me by a friend. From what I understand, it’s sortof a self-help/psychology/art book combo that helps you sustain your creativity through ritual and organization. Will I get to all of these this spring? Eh, probably not. Like I said, I’m a mood reader. I have to really be in the mood for something in order to read it. I’ve never been able to stick to a book list before. But these are just ten of many books I hope to read this spring, and I give myself permission to stray away and read whatever my heart desires. I can't wait to read Rebecca. I think it might be the first one I tackle. Thanks, Lianne! I'll be sure to check out your TTT next. The Fixer seems like a popular choice this week! I hope you enjoy your Spring reads! Thank you, Chrissi! I've owned it since it pubbed, and I've been meaning to read it ever since. I read Rebecca as a teen and really enjoyed it, but somehow have never got round to revisiting du Maurier (I'd still like to read Jamaica Inn too). My top ten is all genre this week, although I've got some amazing other reads jumping up and down on my shelves for attention too. I'm loving your top ten, Imyril! Thanks for stopping by! The Fixer is sooooo fun. I also recommend her Natural series which is kinda similar except they have gifts (NOT paranormal). 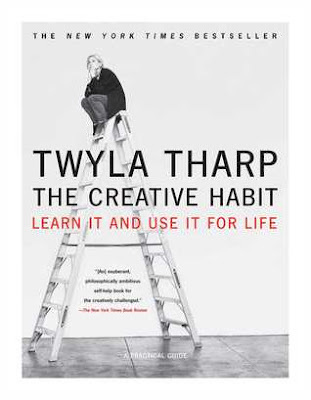 Also, Twyla Tharp's book is so so good and helpful. I read it for a class in college and it was so great. Hope you get around to some of these!! Thanks, Rachel! I'm definitely going to look into the Natural series now. Great choices! I'm still not sold on Soundless. I have it on my TBR tentatively... I hope you enjoy these! Oh, why is that, Tracy? I'd love to hear your thoughts. Thanks for stopping by! Ooh, tell me more about the reading challenge you are hosting, Stephanie. Thank you, Hamlette. I will be checking out your TTT next! Woohoo! 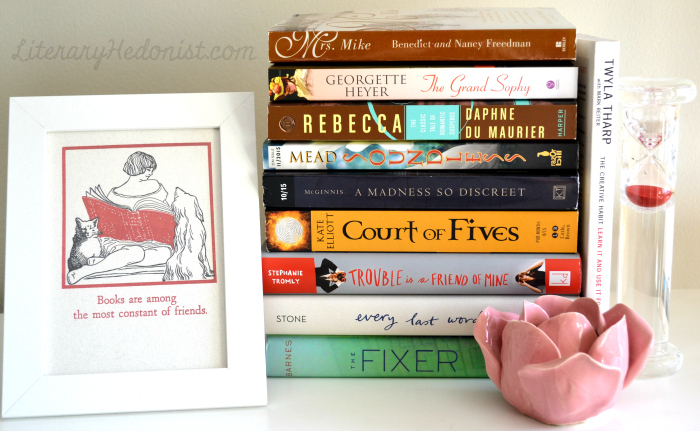 I hope you enjoy reading all of these books!I actually have most of these on my TBR! Soundless is a book I've been eyeing since it came out! I have to check it out! I've also heard many good things about Every Last Word and it seems like the type of novel, I'll end up absolutely loving! It's on my TBR too! Thanks for stopping by, Alicia! I'll be checking out your blog next. 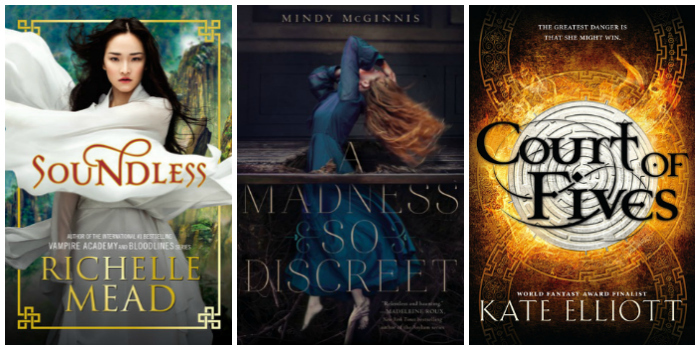 Soundless, A Madness so Discreet and The Fixer are all on my TBR shelves. Hopefully we both love them. I hope your spring is filled with amazing reads!